Great snapshots and videos have never been easier as they are with the versatile Coleman digital camera. Able to go anywhere you would want to take pictures, this sturdy camera will more than hold its own. 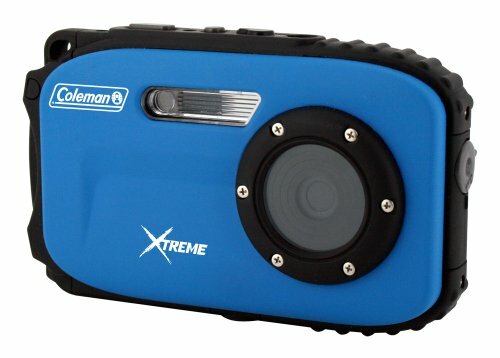 Waterproof up to 33 feet, you can take this camera on all your outdoor adventures and never worry about missing a moment. With 10 scene modes and anti-shake technology you will be sure to catch amazing photographs anytime, anywhere. All your videos and photos will be displayed in 12.0 megapixels on a 2.7 inch screen. In addition to the 32MB internal memory an Micro SD slot supports a memory card up to 8 GB. A Li-ion battery ensures hours to capture all your pictures and video, which you can then upload to your computer using the USB 2.0 cable. With included image editing software, you can touch up all of your pictures and video and share them with whoever you'd like.